If you’re somewhat familiar with selling to government, then you probably know some of the unspoken rules while meeting with officials. But, if you’re just starting to dip your toes in to the world of public sector sales, do the likes and dislikes of government officials seem like a big mystery you just can’t crack? On my blog, I’m letting you in on 10 things officials may not tell you (that you should know!). 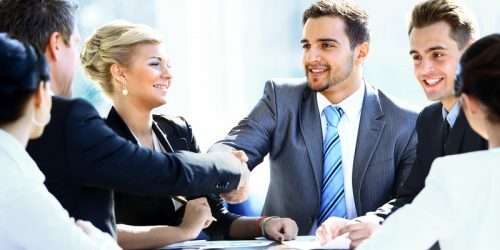 My hope is that, after reading, you’ll be more equipped when it comes to sales etiquette – and more likely to find success when working with officials. 1. Whether you meet your forecast goals does not matter to me because it doesn’t relate to the needs of the government. 2. Yes, the procurement process is going to add complexity to a transaction. No, it’s not necessary to tell me that the government sales process is slowing you down. 3. I am proud to be a public servant and I take my duties seriously. I work on mission critical services – like feeding families, fighting crime or protecting the environment – all within the constraints of complex laws and regulations. I will always respect you and ask for the same respect in return. 4. Please use my (correct) title when addressing me. I may eventually tell you otherwise, but I prefer my title until/unless that time comes. Professionalism is important to me. 5. If you are selling a solution, keep it simple and short. I will ask for clarification if your solution is unclear to me. 6. Remember there are other products and services in the market. I will be far more open to trying yours if you’re mindful that I have other options, and do your best to remain patient until decisions are made. 7. Always tell the truth. Government officials talk. If something sounds too good to be true or a little off, we are probably going to pick up the phone and talk to our colleagues. 8. You score bonus points with me if you’re on time! I have a number of meetings packed into one day and I have carved out time for you. I promise to be considerate of your time too. 9. When I ask for information, I usually need it as quickly as possible. It’s always best if you can provide it at your earliest convenience, since purchasing anything in government takes time and planning. 10. The government may be short on speed, but it’s long on memory. Establishing a harmonious working relationship from the get-go will increase the likelihood we work together again down the road.